The blues were at the devastating best against Everton after dominating from start to finish. Eden Hazard, Diego Costa, and Marcus Alonso were on the scoresheet. Hazard was especially impressive after he scored in four consecutive league games for the first time in his career. He came up with a brace to take his league tally to 7 goals for the campaign. It is an impressive turnaround for the Belgian international, who was a shadow of his former self last season under Jose Mourinho. Conte was pleased with the way all the hard work in the training paid off with this brilliant victory. "We must stay calm and continue to work. When you have this type of performance, you are very happy. It's important to win but when you win this way playing good football with good intensity, with and without the ball, it's great. It can improve our confidence and I am very pleased.It's important to send a message to ourselves. It's important to focus on our way. We want to improve. 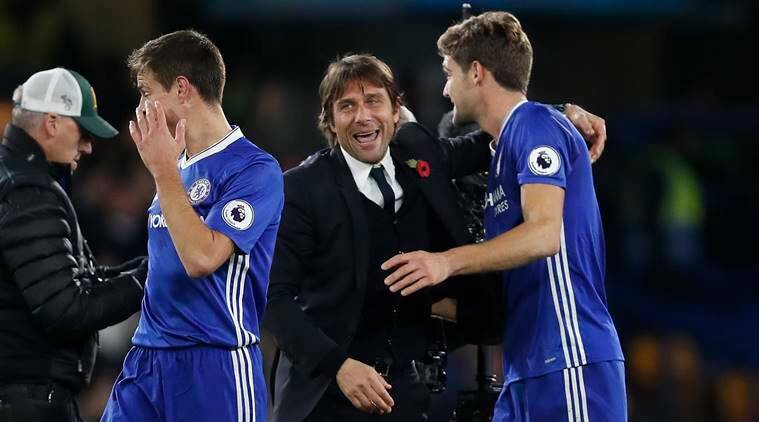 This is the right way and it's important the players recognise it,” said Conte after the impressive victory.